BRONX, NEW YORK NOVEMBER 22, 2011 – Rap artist Denzil Porter has just released his 3rd project titled Home Made Music that is now available for download here: http://www.datpiff.com/Denzil-Porter-Home-Made-Music-mixtape.286508.html. Home Made Music features 14 original songs plus 1 bonus track including some of Denzil Porter’s most popular hits such as “Haymaker”, “Intuition” and “ Kanye West”, gaining recognition from their music videos on YouTube which have over 120,000 views collectively. 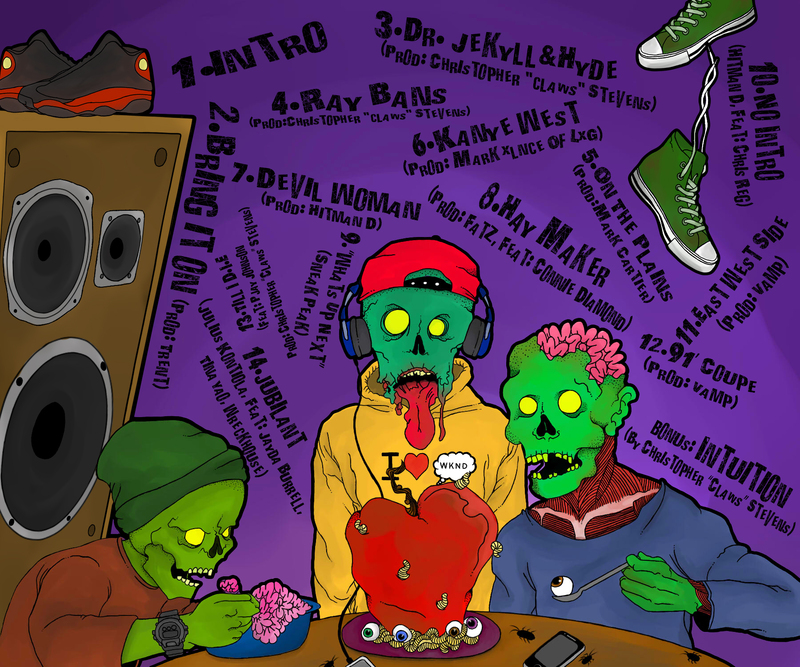 The track list features names of some of the hottest underground producers including Christopher “Claws” Stevens of WreckHouse Ent., Mark XLnce of LXG, Hitman D, Trent and more. Home Made Music is a collection of songs written, recorded, engineered and mastered by Denzil Porter in his bedroom studio making this mixtape literally “homemade”. Denzil gives his listeners a great quality of music that was made straight from scratch. “I’m cooking up that raw music to give to the people,” Denzil Porter says. “It’s the food for thought. I’m hoping this food can bring the listeners to life”. With two mixtapes under his belt: On My Way Home and Live From The Other Side, Home Made Music is the first project released after Denzil changed his name from “Young Flame” to “Denzil Porter”. 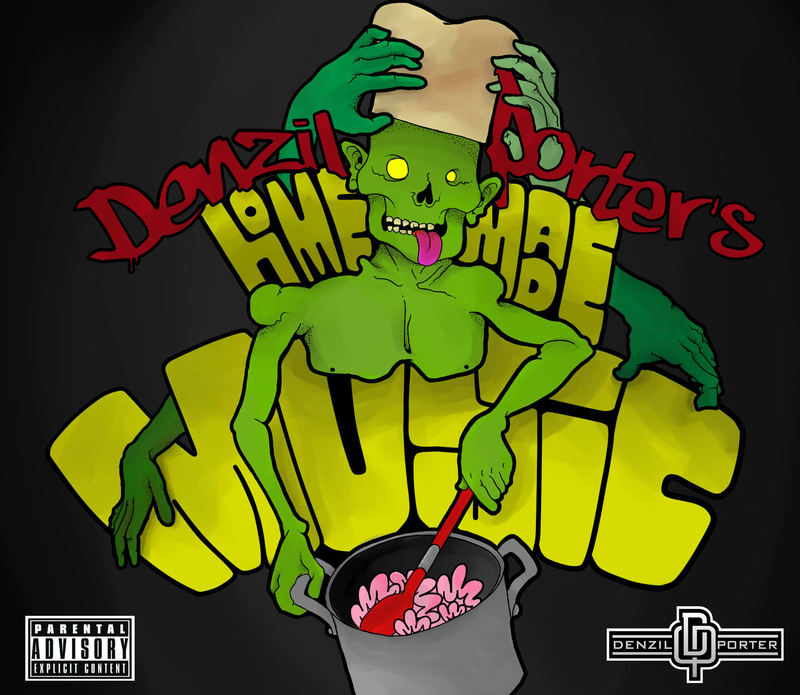 Home Made Music combines Denzil Porter’s witty lyrics, abstract thoughts and clever punch lines while still maintaining the fun in hip-hop which is the missing element in much of today’s music. When making Home Made Music, Denzil Porter wanted to introduce his listeners to all aspects of his art. Not only is Denzil able to write ingenious lyrics, but he can also formulate them into great songs. He can naturally make different types of music without ever contradicting who he is. Denzil Porter beams, “I really think people are going to love Home Made Music because it’s a breath of fresh air. It’s just artistic. Home Made Music will be a collectors item”. With Home Made Music being released just two days before Thanksgiving, this is the perfect 14-course meal to fill every listener’s appetite. We all know food is the way to the soul and the best type to cook up is always homemade. Join the fun on Twitter and tweet #HMM along with all the homemade food you will be devouring this week while bumping that new Denzil Porter Home Made Music. Denzil Porter, formerly known as “Young Flame”, grew up in the north Bronx, NY with a passion for Hip-Hop music from a young age. In high school Denzil Porter began freestyling and battling, defeating all competitors. In 2004 Denzil Porter founded WreckHouse Entertainment, which produces music out of his in-house studio and hosts parties and events. With two mixtapes under his belt: On My Way Home and Live From The Other Side, and Home Made Music being his 3rd newly released project, Denzil Porter is definitely a force to be reckoned with. For more information please contact Jeunesse Yvonne at JeunesseYvonne@gmail.com or 917-596-6174. To listen to more music from Denzil Porter and to get the latest news and updates, please visit www.DenzilPorter.com.